WEDNESDAY 25th JULY 2018, 7pm. 2018 sees a new route for the race, taking in the southern section of the fell. This will be a short, but challenging route, akin to the guides races that started our sport. It will involve navigation and there is the potential for a short, technical section through the scree and boulders, with a fast descent to the finish. This is also the last race in the junior series. 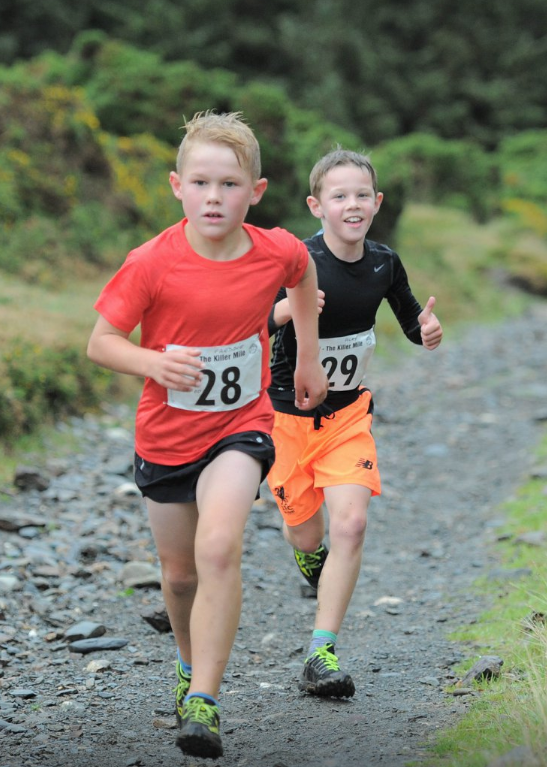 Due to the cancellation of the junior Snaefell race, only 2 races are needed to qualify for the junior championship. The route starts at the gate on the Hibernia road. There is a short flagged section from/to the start and finish to take you diagonally back and forth across the field to a kiss gate. This is a compulsory out and back section. From the kissing gate, it is any route to CP1, which is the flag pole at the crash site memorial. Then on to CP2 which is the trig point on North Barrule. From CP2 it is any route back to the kiss gate, before following the flagged section to the finish by the gate. The route is just over 2 miles, with about 1100 feet of climbing. Pleas note that parking and signing on for the race will be just down the road from the start on the right (as you come from the coast road). We have permission to use this as a car park and marshals will be on hand to supervise parking. It is a narrow road, so please take care and avoid parking on the verges. I have also been asked by the farmer to remind people not to climb fences or walls. There is no need to do either on this route. Also, the area is heavily used for sheep farming, so if you choose to bring dogs on a recce, please keep them on leads. No dogs on race day. TT may be over but racing returns to the mountain on Wednesday 13th June with the Snaefell Fell Race. 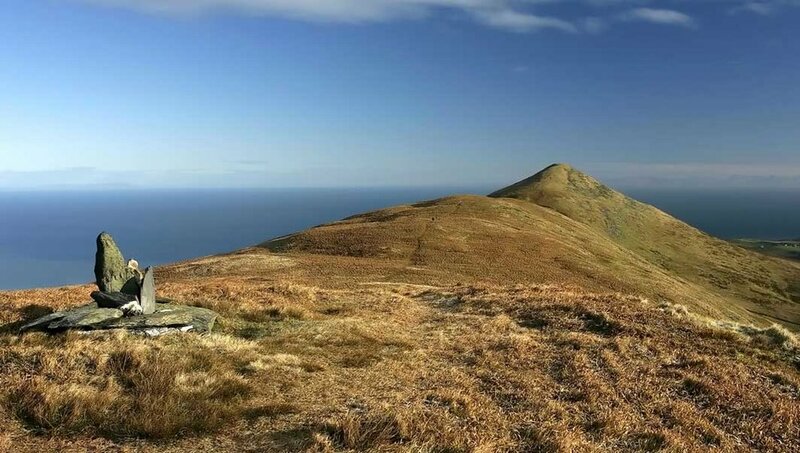 Under 18's will compete over a new route which starts at the Bungalow and traverses over to Black Hut before heading up and down Snaefell. JUNIOR RACE DETAILS HERE. Junior runners who haven't yet completed a parental consent form must do so on the day but can still pre enter using the link below and selecting the "Junior" course in the options. Registration for the senior race from 6pm - 6.50pm. Race Start at 7pm. KIT REQUIREMENTS - Seniors must bring full kit and a decision on what to carry will be made on the day. Juniors must carry a waterproof jacket and whistle. 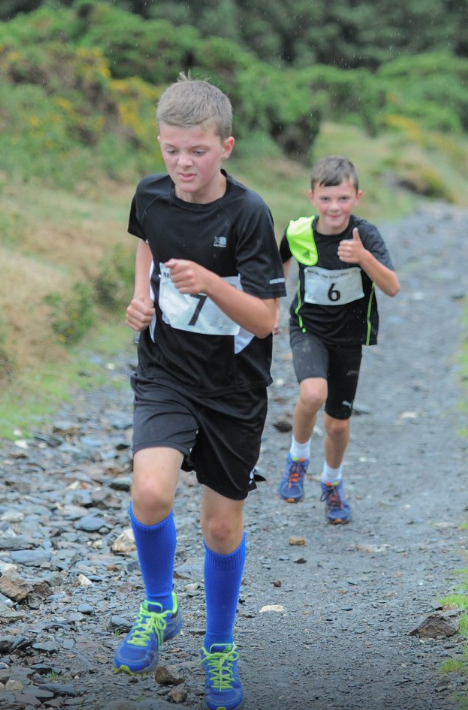 The 6th round of the Callin/Wild Manx Fell Running League takes place on Wednesday 23rd May. 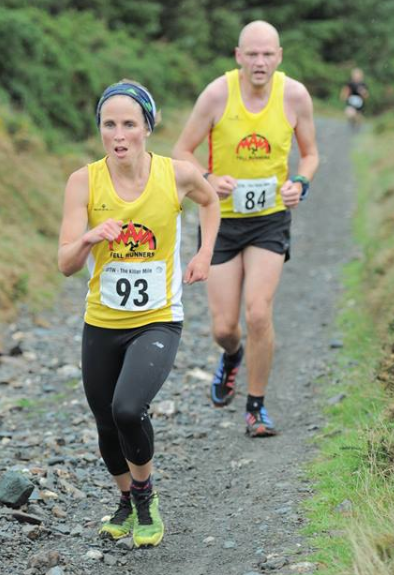 Start and finish of the James Coulson Laxey Race will be at Glen Ruy Farm with a 7.00pm start. Registration will be from 6.00pm and the minimum age to compete is 18 years on race day. Full safety gear is mandatory and will be checked at registration. A good part of the 13km course goes over Glen Ruy and Ballacowin Farms and is therefore on private land. Most of these farm sections will be clearly flagged on race day. Please no recce`s over these sections. The route can be inspected from the unnamed summit checkpoint 2 GR. 394826 through to the final checkpoint (8) on the mountain wall above Ballacowin Farm. Access to this section is easiest from Windy Corner. An excellent field of 85 runners tackled a misty Carraghan race, all of whom managed to get home, some despite minor route deviations! It was great to see some new faces who braved the less than seasonal conditions nonetheless and record some excellent performances. Thanks as ever to all the marshals, landowners, timekeepers and helpers for their assistance.